Everyone seems to be extremely excited at the prospect of controlling their iOS games with actual physical controllers ever since official MFi Controller support was announced at the WWDC keynote this year as a feature of the new iOS 7. Well, iOS 7 has since launched and it seems that any official talk of controllers from both game developers and accessory manufacturers has been hard to come by. The general sentiment is that everyone is remaining hush hush until Apple gives the go ahead, possibly at an upcoming event announcing a new iPad in the coming weeks. 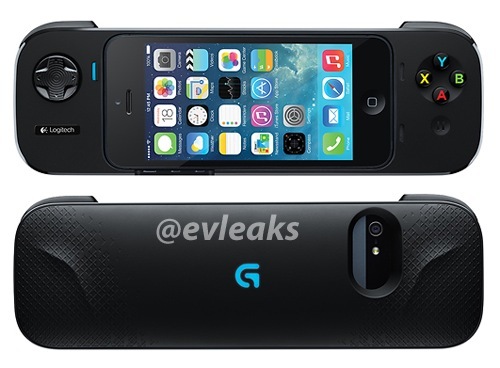 Well, MacRumors has come across an allegedly leaked photo via Twitter account @evleaks which shows what Logitech’s controller solution might look like. Check it out. This would align nicely with Logitech’s recent teasing about an iPhone controller, and it looks like it would be a decent piece of hardware in the way it completely envelops the iPhone and offers button and d-pad functionality off to the side. Of course, fully standalone controllers are also expected but thus far we haven’t heard much about that. Again, expect much more about MFi Controllers once Apple finally gives the green light, and keep an eye out for any more possible leaks like this one which we will bring to you should they happen.